Each week about this time I list five (more or less) classical-music programs in Southern California (more or less) during the next seven days (more or less) that might be worth attending. As you can see, Saturday will be a very busy day (and night). Stephen Pu leads the chorale in a peace-oriented program that includes Ralph Vaughan Williams’ Dona Nobis Pacem, Samuel Barber’s Agnus Dei, and Nick Strimple’s Psalm 133, let the sweet sounds delight! Grant Gershon leads his chorale in Stravinsky’s Les Noces and several choruses by John Adams. Plácido Domingo is in the pit for this LAO revival of Marta Domingo’s production of Offenbach’s famed tale about poet E.T.A. Hoffman’s boozy recollections of the four women he has loved and lost. Vittorio Grigolo sings the title role and Diana Damrau portrays two of the women (Kate Lindsey and So Young Park are the other two heroines). There are five other performances (Grant Gershon conducts on April 6). BONUS: The Pavilion is easily reachable (at least if you’re not mobility challenged) via Metro’s Red and Purple Lines. Exit at the Temple St. side of the Civic Center/Grand Park station, walk north to Temple and then and walk up two blocks to reach the hall. Pianist Stephen Vanhauwaert performs Liszt’s Transcendental Etudes and wildUp French horn Allen Fogel plays Massiaen’s Interstellar Call (a portion of From the Canyons to the Stars). BONUS: First Pres, Santa Monica, is within shouting distance of the west end of the Metro Expo Line, especially if the weather is good. Walk north three long blocks and west to the church. The Pittance Chamber Music Ensemble, featuring members of the LA Opera Orchestra, join with tenor Arnold Livingston Geis and pianist Paul Floyd in this free concert that is part of L.A. Opera’s Open House program. Music by Britten, Korngold and Vaughan Williams. BONUS: General seating is on a first-come, first-serve basis. There are approximately 150 available seats. The performance will be about 90 minutes and will take place without intermission. The Pavilion is easily reachable (at least if you’re not mobility challenged) via Metro’s Red and Purple Lines. Exit at the Temple St. side of the Civic Center/Grand Park station, walk north to Temple and then and walk up two blocks to reach the hall. Colburn School Artist-in-Residence Pianist Jean-Yves Thibaudet joins pianists in the Colburn’s Conservatory of Music, Music Academy, and Community School in a program of solos and chamber music. 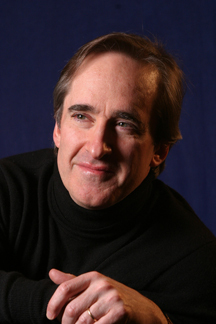 With no fanfare, merely a simple media release, Los Angeles Opera took a supremely important stop in its growth by announcing that Music Director James Conlon (pictured right) has renewed his contract for an additional three years, through the 2020/21 season (click HERE for the release). While General Director Plácido Domingo is the best-known figure in LAO management (more for his legendary singing career and his ability to draw other major singers than for his administrative abilities), Conlon — now in his 10th season at LAO — and President and Chief Executive Officer Christopher Koelsch are equally important — many would say more important — than Domingo for the company’s long-term growth and success. Last year Domingo re-upped his contract through the 2021-22 season. Thus, with companies such as New York City’s Metropolitan Opera and San Francisco in transition, it is significant that L.A. was able to keep Conlon, now age 66, on board. He will continue as Principal Conductor of the Italian RAI National Symphony Orchestra in Turin, a post he assumed last year. It is Conlon who directs the majority of the company’s main-stage productions (this season he leads four of the six offerings at the Dorothy Chandler Pavilion) and offers erudite preconcert lectures before each performance. However, his involvement doesn’t stop there. Conlon will lead a revival of Benjamin Britten’s Noye’s Fludde on May 6 at the Cathedral of Our Lady of the Angels in downtown Los Angeles as part of the company’s “Community Opera” program.